Do you have a pet dog, and do you travel a lot? If so, you're probably familiar with the travails of having to find a kennel to place your dog into, are constantly worrying about how your dog is doing in that kennel, and probably are feeling a little guilty, too, about having them locked up all week while you are away. To address that worry, Los Angeles-based DogVacay (www.dogvacay.com) lauched last week -- just in time for SXSW -- to help connect dog owners with individual dog lovers to help watch their dogs at their homes. The company--which was founded by husband and wife team Aaron Hirschhorn and Karine Nissim Hirschhorn--is the latest company to come out of Science, Inc., the business incubator and studio headed by former MySpace CEO Mike Jones. We spoke to Aaron about the company. Can you explain how DogVacay works? Aaron Hirschhorn: We're forming a community marketplace that matches trusted dog lovers--who we are calling dog hosts--with the unique needs of dog owners. This is something that I've experienced myself with my dogs and my family. You're a dog owner, and when you travel you have two options. Once, is you can go and put your dog in the kennel, which tends to be overpriced, where your dogs are generally in a cage 23 hours a day, and where the owner feels really guilty. That's option one. Option two, is you can ask friends or family members to pet sit. Although that often works out, you're having to call in a favor, which makes you feel bad, you might have to drive a lot, and there's guilt associated with doing that as well. We believe we've come up with a solution. We help find both professional pet sitters, as well as casual but trusted dog lovers, who are willing to open up their home and watch your dogs. On our platform, we allow them to set their own rate, and have complete control over the dogs they will accept, and their schedule. Dog owners can browse through the site, and find the best options for their pet. If you want a one bedroom apartment in Silverlake for your Chihuahua, you can get that for $15.00. If you need a 12 acre ranch in Malibu for your Great Dane, with an animal trainer on staff, that's $75.00. It's really about providing a customized approach, and the best experience for both the dog and dog owners. How did the company come about? Aaron Hirschhorn: It's something that came about from a problem I experience myself. I've got two dogs, Rocky and Rambo, and I had to travel a lot. I felt bad about putting them in a kennel, and although nothing awful happened, it just didn't feel right to me. Then, I found a dog trainer who was watching dogs and had a big yard, and I used that option, and it was great. I loved it, the dogs got socialization and were in a social environment. They are, at the end of the day, pack animals. We thought to ourselves, this would be a great idea to try out on our own. We actually opened up our own home dog boarding business, creating a Yelp listing, and started boarding dogs. We loved it, the dogs loved it, and we started actually making money. We ended up getting more business than we could handle. We boarded over 100 dogs over the last year, and ended up looking at ourselves and saying—we've got a real business here. So, back in November and December we started putting together the site you see, which enables everyone to do this. How do you deal with the trust factor, and are people willing to leave their dogs with strangers? Aaron Hirschhorn: That is the most important issue. I think that's been our primary goal, which is to create trust, and a trusted brand. DogVacay really stands for trust. We verify the qualifications of our hosts. There are several layers of that. First, there's the social layer, where we use Facebook Connect to identify users. We use LinkedIn, gather testimonials, and provide some training through instructional videos, multiple choice tests. We do phone interviews, and check references for lots of our hosts. If the hosts have credentials themselves, they can share if they have liability insurance, pet first aid or CPR certification, if they're a vet tech, and any professional associations they might be involved with. We try to make that transparent, as well. Plus, we have a typical, transaction based review, where after you've done your booking you can review the host and experience. There's also a similar, review of dogs, so a host can say, for example—this dog barks a lot, so maybe you shouldn't book that dog if your neighbor complains. Or, maybe it's not a problem if the dog barks a lot, because you are in a big open ranch. With those things layered together, we believe we can really help owners and hosts make the right decision on how to take care of their pets. On top of that, if things look great but you really want to meet first, we support that as well. We have a meet and greet function where you can schedule a meeting, introduce the dogs to each other, see the home, and that way have complete peace of mind. I'm sure you're familiar with comparisons to services like Airbnb. How are you handling your own issues with geographic spread and rollout of the service? Aaron Hirschhorn: That's a great question. The geographic part of this is very important. We're launching March 1st in Los Angeles and San Francisco. There's a couple of importance reasons for taking one geography on at a time. One, is we want to make sure we have enough qualified hosts in every area for consumers when we open the door. We want them to have multiple options and choices. The second thing, is that because these are regular people, plans change. Sometime, they have to make a last minute cancellation, and you never know what can happen. So we established a set of first responders in each area, who we can effectively call upon if someone cancels at the last minute, if someone has to be picked up and moved. We've got a network which can deal with anything that might come up. Our approach is really to go city by city so that we can be sure to provide. We know you're doing this as a dog lover, but it might be interesting to talk a bit about your past background in the venture investing industry? 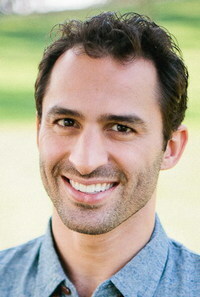 Aaron Hirschhorn: I've worked for a couple of LA-based venture capital firms, GRP and Monitor Ventures. I come from a background where I have a solid understanding of what makes for a good business model, and I've seen entrepreneurs who have had success and been able to execute. I think that is, however, secondary to being a dog lover, which is why it's so important for me to address this need in the market. So many of my friends have been dissatisfied with the current options, and have chosen not to travel because of that issue, or they travel less than they'd otherwise want to. Really, this is about a need and opening up opportunity to everybody. How are you connected with the folks at Science? Aaron Hirschhorn: Currently, our investors are Science, based in Santa Monica, and also Ted Rheingold, who was the founder and CEO of Dogster.com. We'll also be announcing some additional funding in March. We've got a pretty solid slate of investors at the table. Can you talk a bit about the social updates part of the service? Aaron Hirschhorn: We have a function which allows dog owners to get regular photo updates, via regular email, and eventually via a photo app, of their dog enjoying their vacay. The concept is, we're leveraging Facebook Connect and the open graph. If you log in with Facebook, you can browse posts, and you'll be able to leverage your social graph, Twitter, and YouTube to auto post photo updates across your social networks. It's a great way to share your positive experience on the site. Tell us a bit about the launch? Aaron Hirschhorn: It will be a fully integrated site. The site is right now in beta, and we have a team of product managers, a CTO, putting together the fully functional site, integrating messaging, scheduling, and booking, and checkout. We've also got a deep blog with lots of great content about how to prepare for DogVacay, how to take care of your dogs, and more. We've got a functional, transactional website wrapped around content and community. We're also doing other things to really build in that trust. What makes us different from a Craiglist with a checkout button, is we also offer protection to customers. When you book online, you get emergency support via a partnership we have with VCA Antech, the largest veterinary provider in the country. On the off chance that something goes wrong, we provide emergency support and direct access to them. We also have insurance coverage for all of the dogs. If anything goes wrong, there is support there. Building pace of mind is what this business is all about.